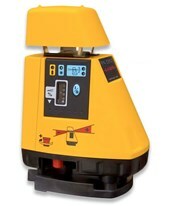 Grade lasers or slope lasers provide all the great benefits of our self-leveling lasers, but with a rotary laser level, your level also performs automatic slope or grade measurements, while maintaining the same self-leveling accuracy, distance, and durability. 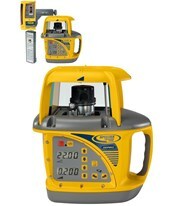 The precision and reliability of a grade laser level in general construction and machine control applications ensure both material and labor savings. 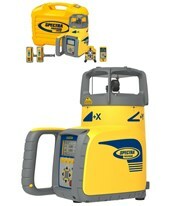 There are two types of grade & slope lasers to choose from. 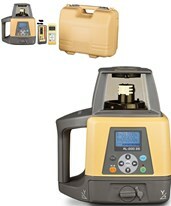 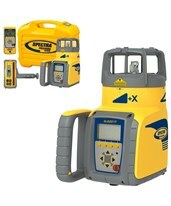 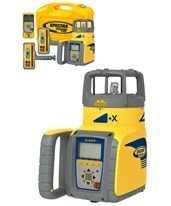 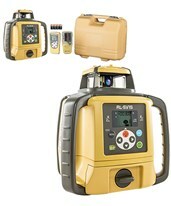 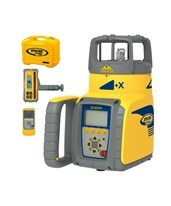 The first is a single slope laser that gives you a slope in one axis at a time. 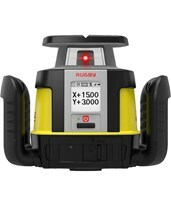 The second is a dual slope laser that will give you two slopes on separate axes at the same time. 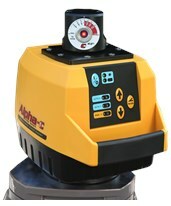 The dual slope laser has a display to see the different grades on the laser and gives you the option to tilt in both axes to give you a compound grade. 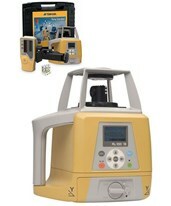 A dual slope laser will usually be more expensive than the single slope laser. 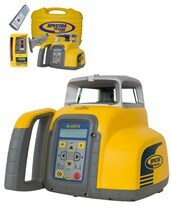 Slope lasers are great for indoor and outdoor jobs of any size. 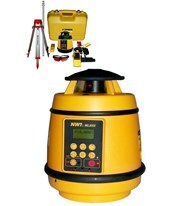 Laser-grade levels can be used for any application involving precise leveling and grade control or allowing for runoff, such as building pads, parking lots and runways, fine grade excavation, land leveling or tiling, concrete forming and framework, setting foundations, footings and more. 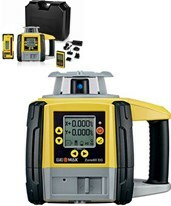 Grade laser levels also work with machine control receivers to not only detect grade but to take it a step further and to help start digging! 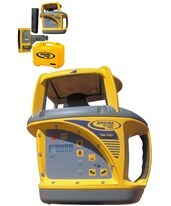 If you are working on a busy job site, choose a grade laser with bump alert and beam masking to avoid damage and interference from other lasers. 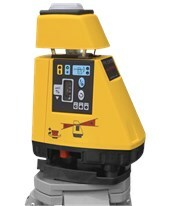 Slope lasers also come with options to manually adjust the grade. 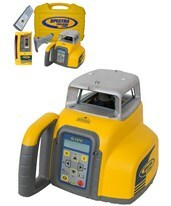 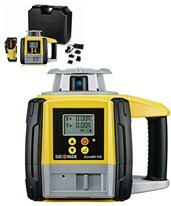 Figure out what grade you want and set your laser detector and rod to that grade. 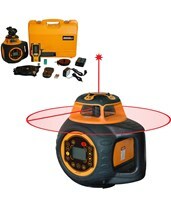 Then manually move the beam up or down until your detector comes on to center. 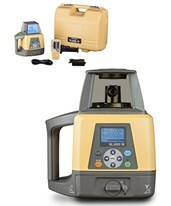 This type of laser will not have a display on the laser to read grade. 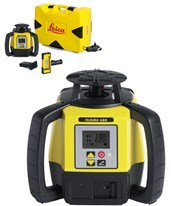 Like basic rotary laser levels, grade lasers have a 360-degree laser beam, as well as large LCD displays for readout of measurements, large measuring ranges, and high accuracy. 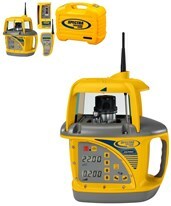 Some laser grade levels also include a remote control and may come with a laser detector for increased working range or other advanced capabilities, such as grade matching or beam lock technology. 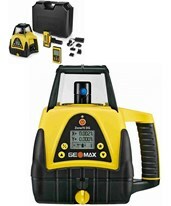 Grade matching is a very helpful feature because it allows you to tilt the grade laser level line until it reaches or matches an existing grade. 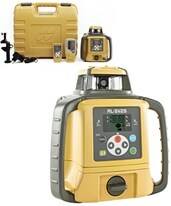 As an authorized reseller of grade and slope lasers, Tiger supplies offers a wide selection of major brands such as AGL, Leica, Northwest Instrument, Spectra, and Topcon.